Businesses in need of sites that look great on any modern device can turn to the talented people at Huemor Designs. 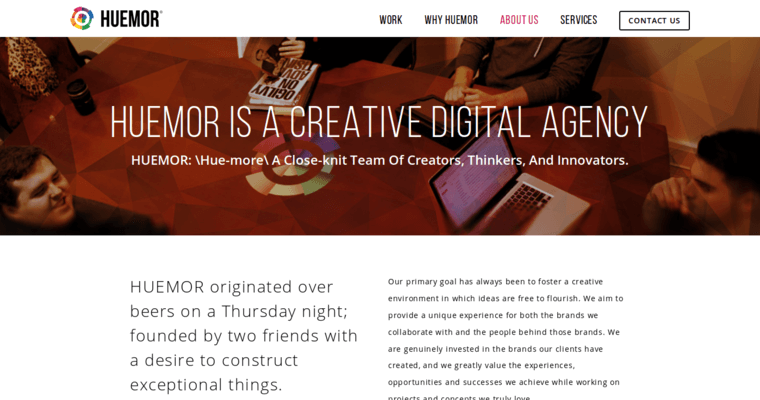 A team of individuals who are dedicated to the pursuit of excellent web experiences, Huemor helps its clients present their messages in succinct and beautiful ways. For a range of national brands, Huemor Designs has delivered exceptional work. They can do the same for brands who are trying to become national. Along with building responsive sites, Huemor Designs offers SEO, PPC management and other services that make them a worthwhile prospect to receive a company's responsive website design order.